You cant beat this downtown location just around the corner from Creekside restaurant on a quiet one-way street with views of Howlesen Hill off the back deck. This 2 bedroom home has excellent potential to expand, remodel or build a garage/caretaker with alley access. Or simply leave as-is and enjoy the benefits of a move-in-ready home with a large yard in the heart of Old Town Steamboat. The current simple and open floor plan lends itself to easy remodel ideas. Enter into the mudroom before moving into the open and spacious living room and kitchen. The kitchen boasts a cozy breakfast bar and walk-in pantry. The homes charm shows in the wood paneled living room and hardwood floors throughout. Plenty of storage for all your toys in the attached shed located off the back deck. 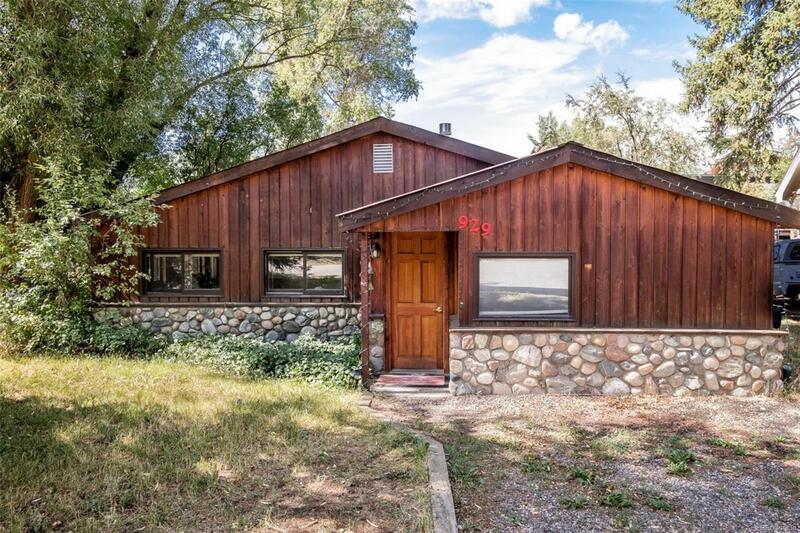 Excellent location and potential for those seeking the downtown Steamboat lifestyle.